The morning is approaching - wake up! This one of John Wesley's sermons is actually by his brother Charles. No Methodist that I know of gets this close to hellfire and brimstone. 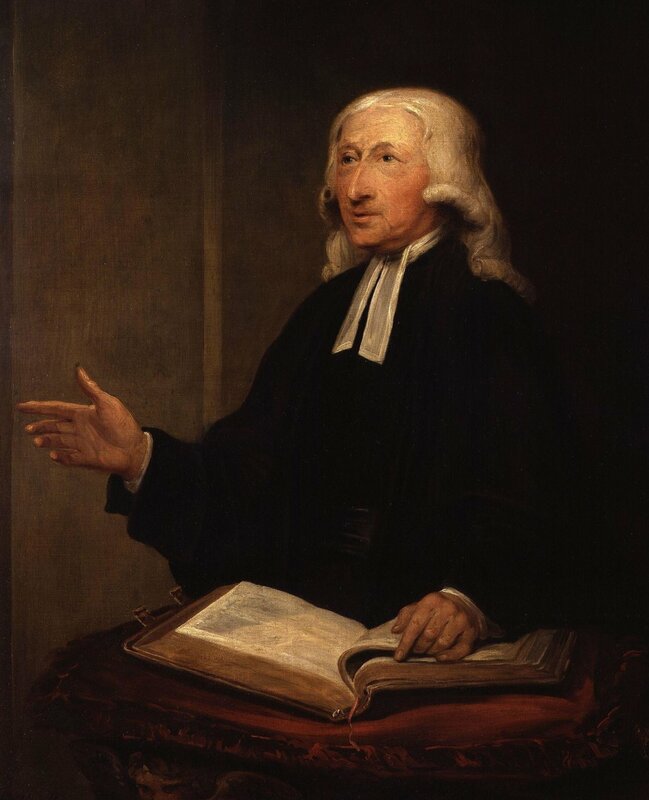 Have we softened the gospel to make it palatable, or are we merely adapting to a society without the Christian theological presuppositions both John and Charles Wesley could assume? I am completely in awe of how well the brothers Wesley know their Bibles. Charles here strings together quotation after quotation, almost effortlessly. I am humbled. Charles' intense, pages-long barrage of rhetorical questions makes for powerful reading. In these first four sermons the brothers are almost intentionally trying to offend their elite audience at Oxford University. But a less intensive barrage of rhetorical questions can be a powerful - and not excessively offensive - tool for preachers today trying to encourage their congregations toward introspection.